Designer Harrison uses watercolor rendering techniques to perfectly express the sunset through golden yellow and pale pink. The white lighthouse stands quietly on the rocky shore, and the seagulls flying far away are free. This view is calm and peaceful, as if you can hear the waves. **Designer Harrison Ripley. 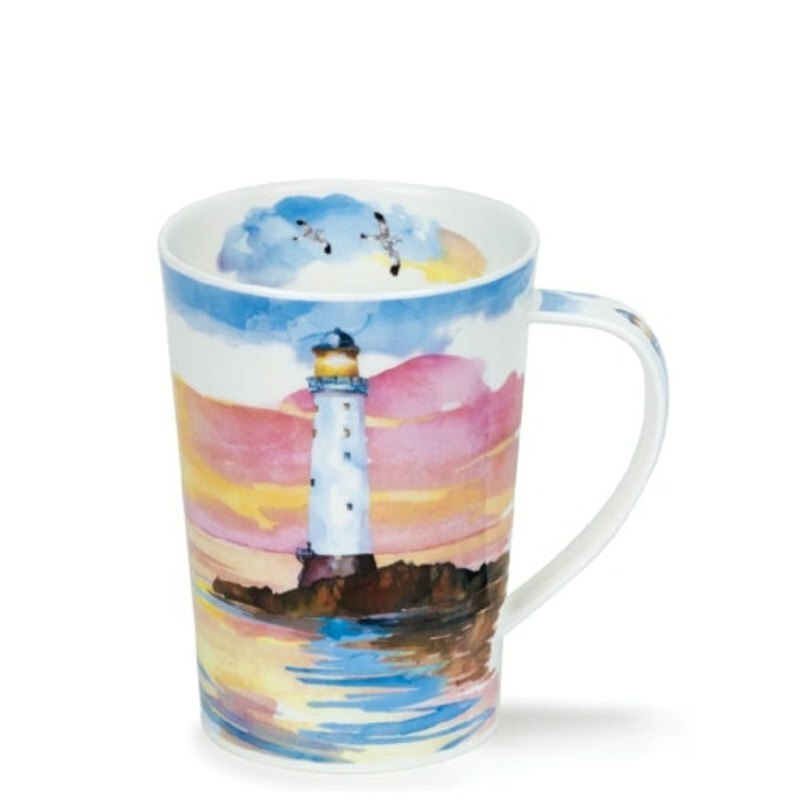 Ripley** Known for his floral and seascape designs, Leeson has been used extensively in many stationery items and has successfully transformed into a beautiful pattern on the Dunoon mug.